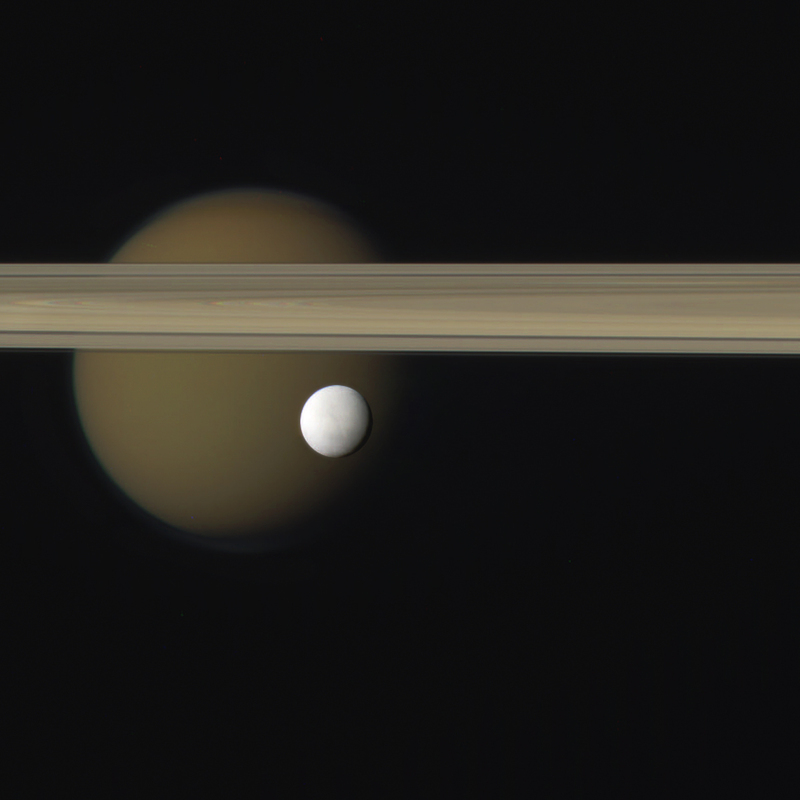 Color composite of Enceladus, Titan and Saturn's rings. Little Enceladus and enormous Titan are seen on either side of Saturn’s rings in this image, a color-composite I made from raw images acquired by Cassini on March 12, 2012. Oh my, that’s just beautiful!